Weight and dimensions without packaging: 0.8 kg; 15 x 16.5 x 8 cm. 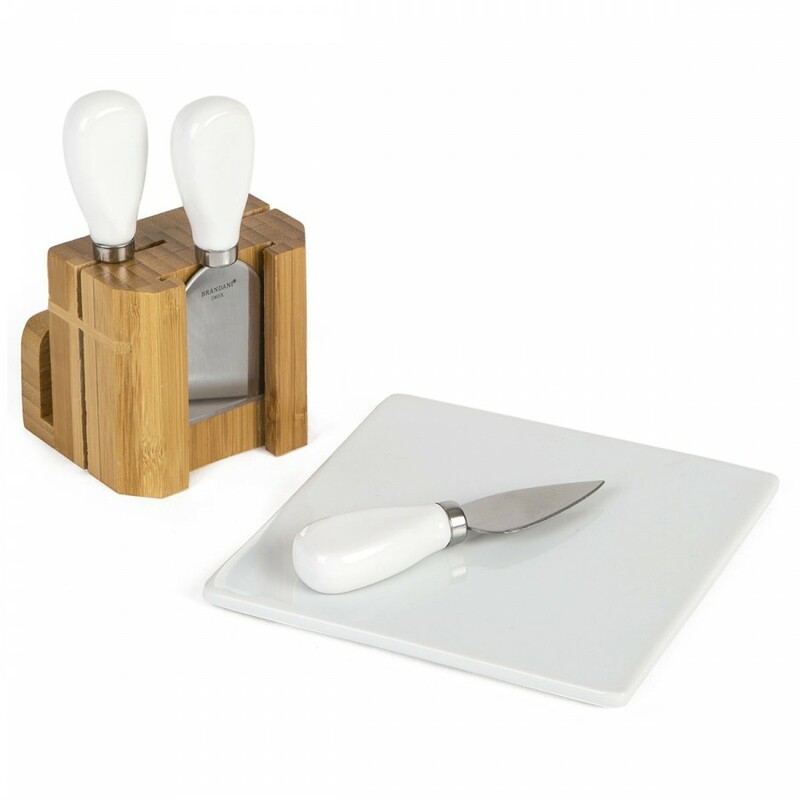 Description: Practical, light and elegant, this set of platter and knives allows you to slice your cheese before serving. Composed of a bamboo base and three different knives: one for Parmigiano Reggiano, a fork-knife for aged cheeses and a knife for soft cheeses. A white ceramic tray is also included, ideal for serving your appetizers. Producer: Brandani Gift Group Sas. Conservation: After use, wash tray and knives using water and detergent. Rinse, dry and store in its original package.